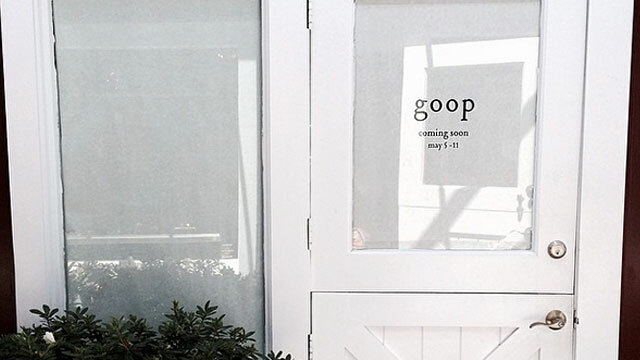 Gwyneth Paltrow dropped a bombshell on her Instagram Friday, posting a photograph of her first-ever Goop store in Los Angeles. Paltrow, 41, posted a picture of a simple white door, with the words "coming soon, may 5-11." No other details have been released about the pop-up store, except that it's located in the upscale Brentwood, Calif. Though often criticized for its pricey items, Paltrow's lifestyle website Goop is still clearly popular with her fans -- her "Super-Classy Yard Sale," featuring her designer clothes and pieces from her superstar friends such as Beyonce, Kate Hudson and Nicole Richie, crashed the site Thursday due to overwhelming interest. Tell us: Would you visit Gwyneth's Goop store?